Greetings world! 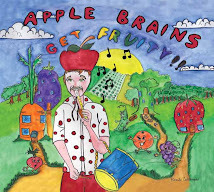 Apple Brains has been in hibernation this summer and is waking up! Check out this podcast interview from the great Vegan Snack Attack podcast! And new shows new tunes coming soon!